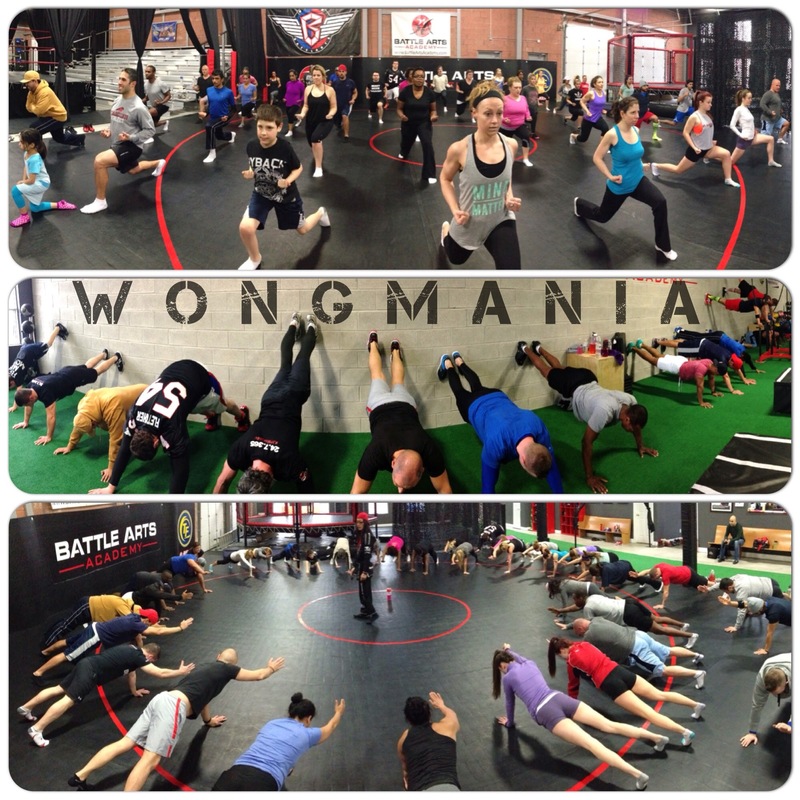 Wongmania isn’t just a physical activity for people trying to improve their fitness. It is a way of life for the Wong family. Tricia Wong is married to Steven J. Wong, one of three owners of Battle Arts Academy and the instructor of the Saturday morning strength and conditioning class dubbed Wongmania. She truly understands the methodology behind her husband’s attempts to make a difference in people’s lives with rigorous training exercises that quite often lead to exhaustion. And so do the couple’s three children – Alexa, 10, James, 8, and Marcus, 4 – who are exposed to this ideology on a daily basis. They see the physical and metaphysical meaning of what Steven is trying to accomplish and are able to apply it in other activities – school, sports and, in Tricia’s case, marriage. At times Steven’s ideas seem incomprehensible, perhaps maddening, to anyone who has taken Wongmania and found themselves fatigued following the two-hour endurance, which is as much about testing the mind as it is about the body. From the activation that begins the workout with some easy twists and turns to create movement in the synovial fluid that lubricate the joints, and moving into more demanding/challenging exercises that test flexibility, co-ordination, strength and conditioning Steven has crafted an interesting program. It is taxing and tiring and is often followed by aches and pains the following day or two because the muscles have been stretched. As anyone who has taken the class will attest – and Tricia has been a regular since Wongmania began last September when Battle Arts opened – there is an attraction to it. It is the pain/pleasure duality, one that is alluring and compelling even if at times it seems daunting. Tricia and Steven have been married for 18 years and together for 22. Tricia says she resisted with every fibre of her being embracing her husband’s teachings, but hereditary genetics forced her to accept them. Her father passed away of a massive heart attack at the age of 41 and an autopsy discovered that three of the four arteries were severely restricted/blocked. Tricia has played competitive soccer all her life and felt that would suffice in terms of physical activity. But now she realizes it’s important to do more. She has various weights and equipment at home to exercise. She marvels how their three children have become students of their father’s teachings and are passing the knowledge forward. They come with their parents for Wongmania, watching and observing and occasionally using some of the apparatus to demonstrate a particular activity such as climbing ropes or swinging from one vertical ring to another or merely having fun. “It is easy to role model this because we try to live it at home,” she says. “We try to work out the days we’re not here at the gym. We have a pretty good setup at home. We often do Wongmania at home with the kids. 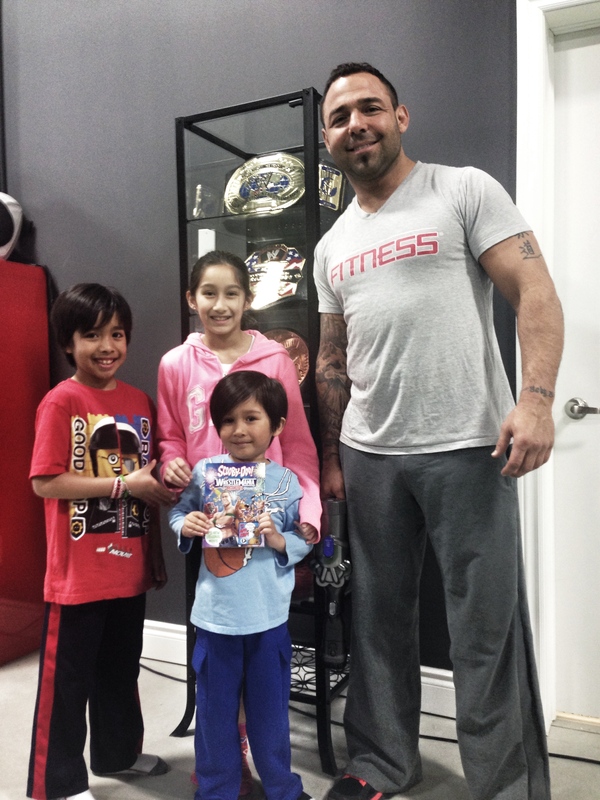 I have watched our four-year-old Marcus – his co-ordination and physical abilities are still quite limited – and he has 100 percent watched his father teach and instructs these classes; I watched Marcus take my nephews through a pretty good activation. He had them stretching and it’s the repetition he’s watched us do here. He couldn’t use the proper terms, but he was 100 percent mimicking what he’s been watching us do. James and Alexa fit in the same age range and he often uses them to exercise and test if he has to scale down routines based on co-ordination, growth and ability, so it is age appropriate. James is now able to participate in it a lot. He’s hooked. He has the bug. He makes Steven create a circuit for him where he does Wongmania two, three or four times a week. He loves it. It’s amazing to watch them complete some of these things. Alexa is a gymnast and dancer, and everyone often comments on how she does some crazy, bendy, strength moves that you see with an acro dancer or in advanced yoga. 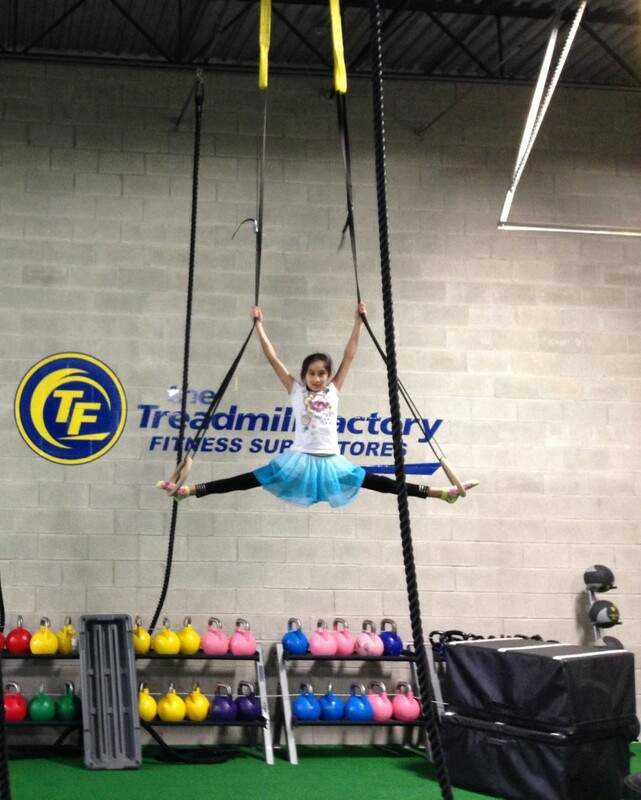 While Battle Arts was being built and we were coming to watch the progression as equipment started arriving, she was probably the first person – adult or child – to climb the battle rope from the ground to the beam across the top. She was the first kid across the full length of the monkey bars. Her strength is amazing. I’d like to say I gave it to her in utero and passed it on, but I don’t think it’s quite how it worked. She sees there’s things she can do that adults can’t. 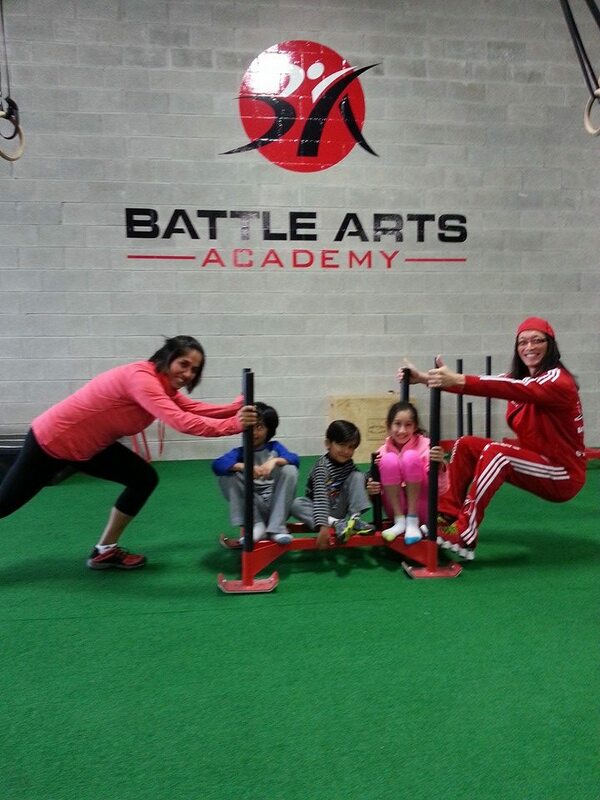 Tricia says it is infectious watching people come to train at Battle Arts to improve their health. 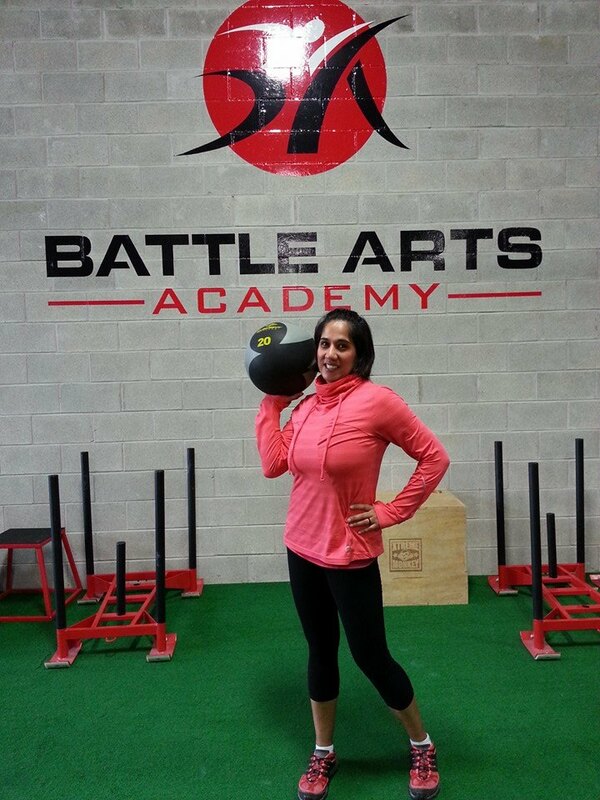 This is what Steven and his partners, Terry Frendo and Anthony Carelli, had in mind when they created Battle Arts to be a unique fitness facility, one that is specifically geared for some combative sports and has trainers experienced in teaching skills and drills that are designed to improve core fitness, balance and strength. Editors notes: Battle Arts Academy is proud to announce that Steven J. Wong will be leading a special one time WongMania session on the mainstage at The Toronto Fitness Challenge on May 31, 2014 @ 11am at The Metro Toronto Convention Centre during the Toronto Pro SuperShow. 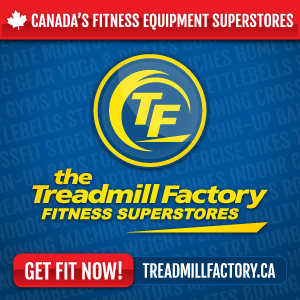 Some proceeds will be donated to Toronto SickKids Hospital so please register at www.TorontoFitnessChallenge.com. If you register today and use promocode “battlearts” you will save $5. Admission includes access to the Toronto Pro SuperShow and all master classes on the main stage from 9am-6pm!